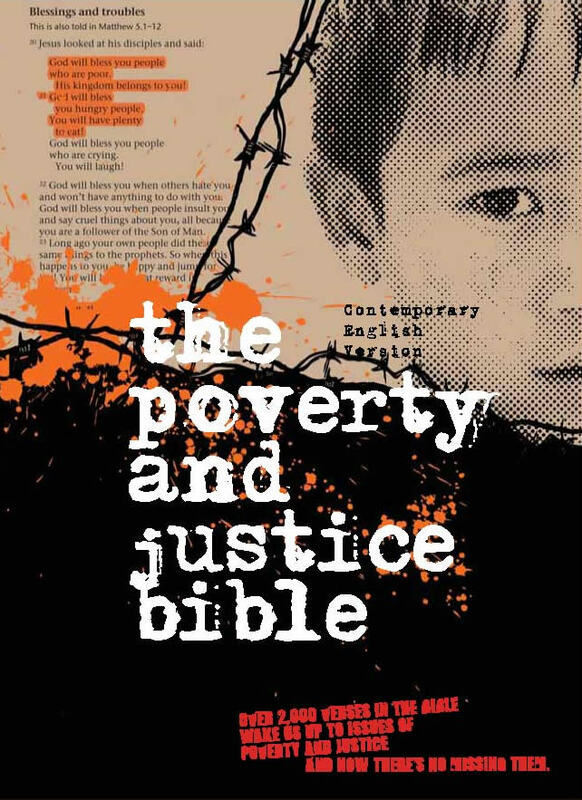 The Bible Society have produced a version of the Bible which highlights in vivid orange the 3000 verses in the Bible that relate to poverty and justice. Flick through The Poverty and Justice Bible and there are highlighted verses on almost every page – only a spattering in books such as 1 & 2 Samuel and Chronicles but the orange highlights grow in density into Psalms, Isaiah and Jeremiah. When it comes to books such as Amos or James, the majority of the page turns orange. But the very idea of a special Poverty and Justice Bible provokes questions. Do we really need another version of the Bible? 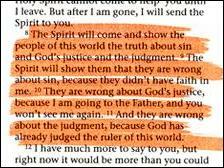 Do we need orange highlights to tell us that God cares passionately about poverty and injustice? Isn’t there something terribly ironic about rich westerners spending yet more money on a product that highlights poverty? Don’t Christian bookshops have enough versions of the Bible such as the Spirit Filled Bible, the Student Bible, the Power of Praying Woman Bible etc, isn’t this just another example of our consumer culture turning God’s word into a commodity? I had all these questions when I first heard about the idea but when I saw the Bible for the first time it challenged my skepticism. And the reason is this – what has become obvious to me simply isn’t for many in the Church. There is still a big job to do to highlight God’s concern about poverty and this Bible does it as explicitly as you could wish for. It is a real challenge to those conservatives who plead for a ‘bible-based teaching’ but manage to screen out scripture’s relevance to issues of poverty. If you, like me, have friends with these views – don’t buy them some worthy tome they’ll never get round to reading – buy them a copy of The Poverty and Justice Bible instead. But this version of the Bible also challenges those who don’t draw on the resources of scripture enough. We need to re-discover the resources that the Bible gives us about justice – and not as recasting Jesus as a liberal social worker or repeatedly using the same old verses – but in the seeing the thread of justice throughout the whole narrative. The core themes of creation and sin, liberation and law, prophets and kings, and the pivotal life and mission of Jesus and early Church all point to a God of justice. And where does the story end? With a society and justice and fairness that God will bring about in His renewed Creation – when whole world will be put to rights. This is our story and this is our hope. There are some quibbles. They have gone for very much a youth feel, in both its marketing and its style, especially the ‘3D’ section in the middle and these may put older people off. It could have done with a more weighty section written by a biblical scholar to draw out some of the core themes which would have countered the ‘proof-texting’ style intrinsic to the highlights of certain verses. As the introduction admits, highlighting the text on this issue is no exact science and rightly they invite a debate about those they picked and those they did not. 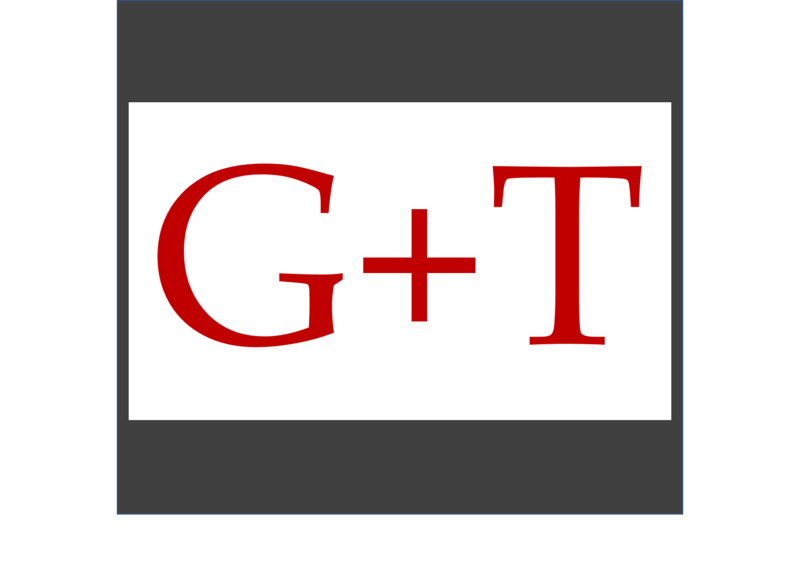 I have already found it a very helpful resource in talks and workshops. If anything else, The Poverty and Justice Bible is an effective visual aid which illustrates more effectively than ever a point that many have been making for years: the Bible speaks of a God who cares passionately about poverty and justice.